Wisconsin OWIs Did You Know? 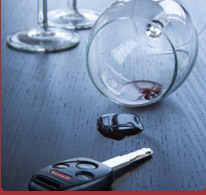 – The first OWI law was passed in Wisconsin in 1911. – If your first conviction is between .08 and .10, you are eligible to have your conviction purged after ten years and you are not required to submit to an alcohol and drug assessment or pay a number of the hefty surcharges. – If a chemical test is done within three hours, the results are admissible at trial to prove you were intoxicated without an expert to establish that the given level would really make a person like you intoxicated. Wis.Stat. 885.235(1g). – If you are unconscious, the law says you consent to have your blood drawn. – A breath test is only valid if you give one adequate sample, followed by a calibration check, followed by another adequate sample. “Adequate” means the machine say it is not deficient.